Our love of motorsport defines us, and that includes the precision and perfection required to succeed in that arena. As specialists in composite components, we deliver exactly those qualities both in Germany and internationally, often to extremely tight deadlines. After all, our customers are fighting for every last tenth of a second out on track and expect nothing but the best. We’re happy to be measured by these standards. We offer years of international experience in racing. Consequently, we know what counts when it comes to technology, quality and service in particular. A team of experts that works quickly, accurately and precisely is waiting for you at BRÄUTIGAM. It’s a team that bears comparison with the most well-honed pit crew. From the development to production. 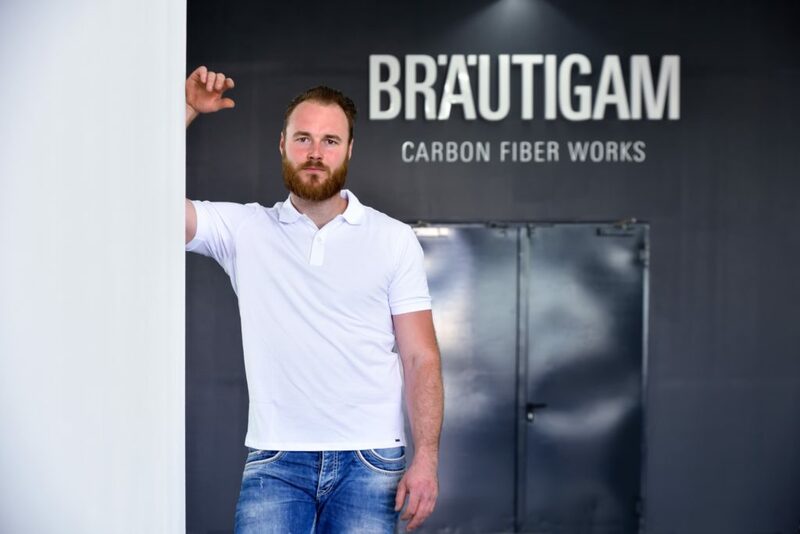 BRÄUTIGAM, based in Pleidelsheim, near Stuttgart in Germany, specialises in the development, design and production of composite components made from carbon fibre, glass fibre parts and other fibre-reinforced plastics (FRPs). We do this for racing cars as well as for exclusive sports road cars and carbon-fibre bicycles. In addition, we offer the development and manufacture of special products such as for prototypes, pre-production parts and for industrial applications. The man behind BRÄUTIGAM, Yves Bräutigam, is an acknowledged expert in the development, design and production of composite components. His experience in taking care of prestigious customers from racing series such as Formula One, Le Mans and DTM, as well as in all the technical and strategic processes involved, has been brought to bear in establishing BRÄUTIGAM as a company. What can you expect from BRÄUTIGAM? Target-driven services backed up by a deliberately lean team structure, where every member is an experienced professional. This gives BRÄUTIGAM a compact and efficient setup. In summary, we offer services and products that are state-of-the-art today and will continue to be in the future. Naturally, special attention is paid to all major quality standards. For example, the company is certified to ISO 9001:2015.